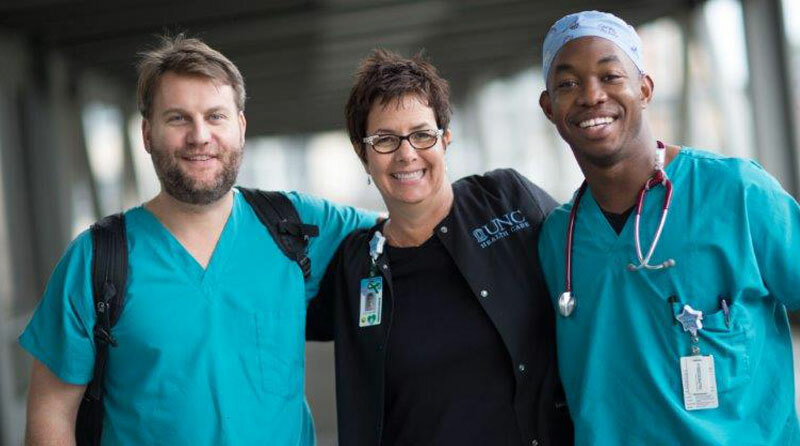 UNC Family Medicine Center seeks a nurse with experience in Quality Improvement and/or Lean to join our team of innovative leaders. This manager is expected to serve on 2 Rapid Improvement Events (e.g. kaizens) per year and to use Quality Improvement tools to manage for daily improvement. This manager will lead from the front by assisting with patient care as needed and setting an example in front-line problem solving. This position requires experience and knowledge of the daily operations of an outpatient unit. Managers working in this environment need to be able to make effective decisions, analyze information, and motivate and lead others. 1. Patient Care- Ensures that appropriate care and services are available to patients / clients and families. Facilitates interdisciplinary collaboration in patient/client care planning. Ensures appropriate clinical staffing and skill mix for patient care. Supervises team of professionals /paraprofessionals which may include nursing staff, health unit coordinators, nursing assistants and utility aides. 2. Human Resource Management- Effectively manages human resources. Creates an environment conducive to recruiting and retaining staff. Applies organizational policy and procedures in hiring, promoting, transferring and terminating staff. Provides staff with annual performance feedback and opportunity to set professional goals. Integrates scientific evidence regarding retention of nursing staff into unit planning. 3. Budget Management- Effectively uses clinical and financial information to establish and meet budgetary goals. Implements strategies to increase revenue and cost effectively manage personnel, supply, and equipment resources. Evaluates the impact of strategic fiscal changes on quality outcomes. 4. Accreditation Issues- Ensures that internal and external regulatory standards or nursing practice are met or exceeded. This includes organizational policy and procedures as well as state, Joint Commission, Board of Nursing and other specified accrediting bodies. Integrate current scientific evidence with standards of practice. 5. Quality Improvement- Leads and participates in quality improvement initiatives that focus on identified patient safety or quality of care deficits. 6. Education- Creates an educational environment conducive to student learning, staff continuing education, and orientation of new staff members. Accountable for annual competency evaluation of staff that ensures staff has the knowledge and skills to care for the specified patient population.